Buy in bulk & SAVE on delivery! 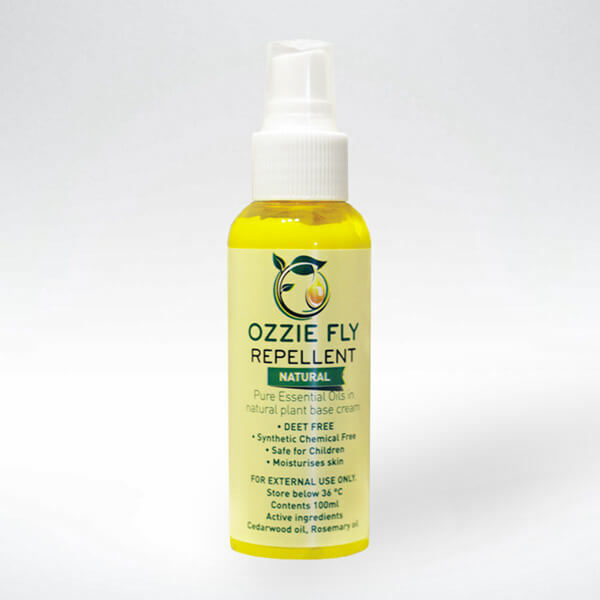 Ozzie Fly Repellent is a combination of essential oils blended in a naturally-based plant moisturiser, to ensure happy, fly free days in the great outdoors. Australian’s are renowned for the “Aussie Salute”. This is the practice of waving one’s hands in front of the face at regular intervals to prevent flies from landing on it, or entering the nose, mouth or eyes. The flies are attracted to bodily fluids such as sweat, nasal mucus, saliva or blood. via its hairs, mouthparts, vomit and faeces. So it’s important to keep these little critters off your body. 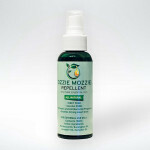 The ESSENTIAL OILS used in OZZIE FLY REPELLENT include Rosemary and Cedarwood. These are proven Natural Repellents and have a pleasant fragrance. OZZIE FLY REPELLENT is for use during daylight hours, as this is when flies are active and they rest at night. OZZIE MOZZIE REPELLENT is for use from dusk ’til dawn. Ozzie Therapeutic Products is an Australian-owned manufacturer of NATURAL products renowned for their beneficial effects on the human body in terms of disease prevention, pain relief and sense of well being.